Can ship USPS or UPS. 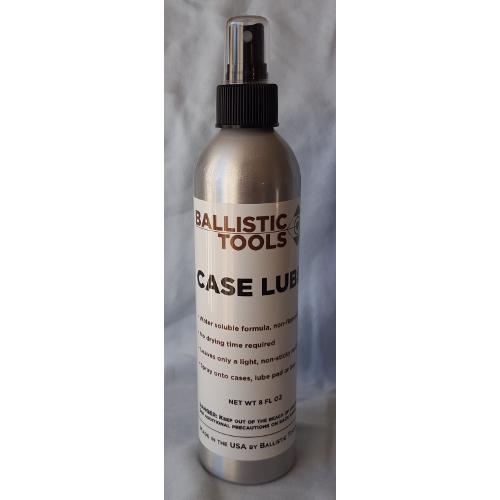 Put an end to stuck cases with Ballistic Tools Case Lube. Our lube is a special low-tack formula that can be used immediately with no drying time required. A very light, evenly applied coating is all that is necessary. Leaves a slight, non-sticky residue that can be left on cases or easily wiped or tumbled off. Leaves only a light, non-sticky residue. Spray onto cases, lube pad or use bag method. Because our lube is non-flammable and water soluble it can ship via USPS priority mail.